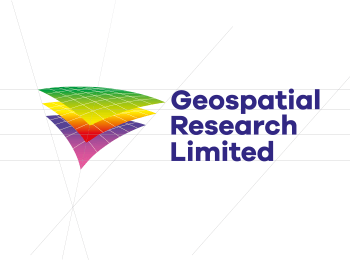 Geospatial Research Ltd needed to bring their online presence up-to-date to better reflect their considerable experience and wide ranging expertise in the Geoscience profession. Their site wasn't mobile friendly or built to the latest online web standards. GRL commissioned Arttia Creative to provide a refreshed brand and new website, to bring them both up-to-date and presenting their business to an international audience. 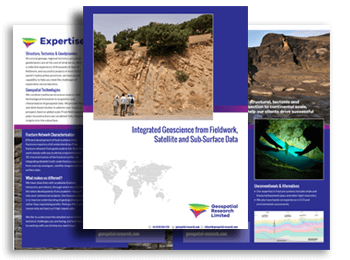 We worked closely with Geospatial Research Ltd and our marketing expert Joanne from Dolezal Consulting (who developed a concise marketing strategy), and we produced a subtly refreshed GRL brand and a new responsive website. We worked closely with he client to create a clear user journey and user experience, helping them to distill and clarify their outstanding expertise, experience, their unique services and products for the online space. We provided them with an easy to use CMS via WordPress, delivering a well-structured website that is effectively promoting their expertise online. Alongside which we are creating well-designed literature which strengthens and complements their online presence. "Arttia Creative did a fantastic job to revamp our website - not only was the end result a big success with our employees and clients alike, but they made the whole process as smooth and painless for us as possible (i.e. Belinda [Arttia Creative] was just great at coping with our procrastination, indecision, and general unreasonableness!) Thoroughly recommended". Working closely with GRL we refreshed and strengthened their brand identity to provide a striking and flexible brand design that works both on and offline providing clarity, consistency and impact. Together with our expert database developer Richard Telford, we created a bespoke Research Archive area on the new website. 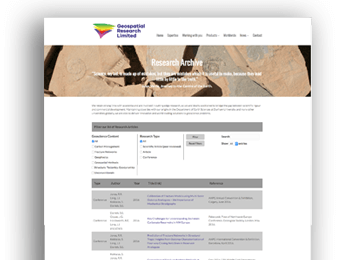 Existing data (200 articles) were imported into the new website via a bespoke script, and a custom CMS area was created which enables GRL to easily add new Research Information to this comprehensive archive. Providing them with a unique resource for their customers and set them apart from their competitors. Arttia Creative worked closely with GRL to design a new brochure for both print and download to showcase their service offering, providing them with clear and well designed off-line literature that complements their online offering. Do you need your website to deliver business growth? Request your FREE 30-minute website consultancy session. Our free 30-minute consultancy sessions will provide you with the clairty you need for your website or digital marketing project. No obligation, FREE Consultancy. Book yours today.